In Scenescapes, Daniel Aaron Silver and Terry Nichols Clark examine the patterns and consequences of the amenities that define our streets and strips. They articulate the core dimensions of the theatricality, authenticity, and legitimacy of local scenes—cafes, churches, restaurants, parks, galleries, bowling alleys, and more. 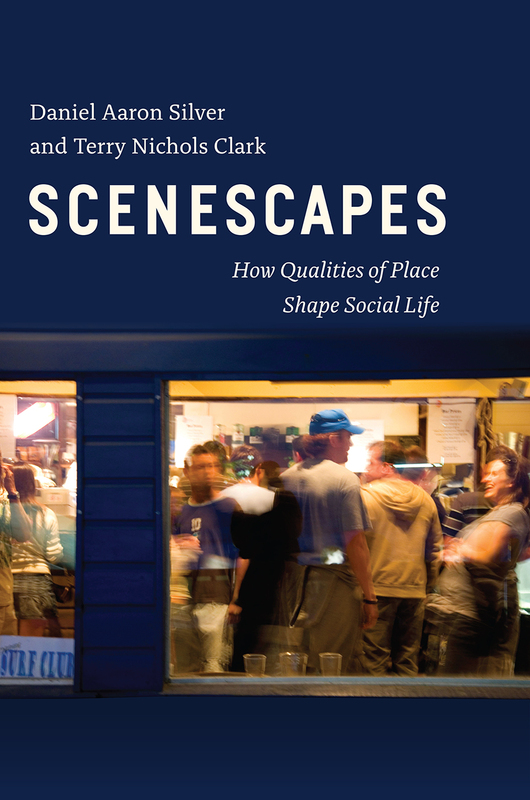 Scenescapes not only re-imagines cities in cultural terms, it details how scenes shape economic development, residential patterns, and political attitudes and actions. In vivid detail and with wide-angle analyses—encompassing an analysis of 40,000 ZIP codes—Silver and Clark give readers tools for thinking about place; tools that can teach us where to live, work, or relax, and how to organize our communities. Daniel Aaron Silver is associate professor of sociology at the University of Toronto Scarborough. Terry Nichols Clark is professor of sociology at the University of Chicago.